TGI Fridays is rolling out Microsoft tablets across its restaurant chains. The restaurant is equipping its servers with 8-inch Windows 8.1 tablets so they can quickly process orders and payments at the table. TGI Fridays is using the technology in six restaurants in Texas and Minnesota, but plans to roll out over 2,000 tablets to 80 of its 500 restaurants in the US over the next eight weeks. The devices use Windows 8.1 running on Oracle’s Micros Restaurant Enterprise Solution (RES) 5.4 on the Dell Venue mTablet E-Series mobile point-of-sale devices. Before the introduction of tablet devices, TGI Fridays used between six and 10 traditional point-of-sale systems in every restaurant. 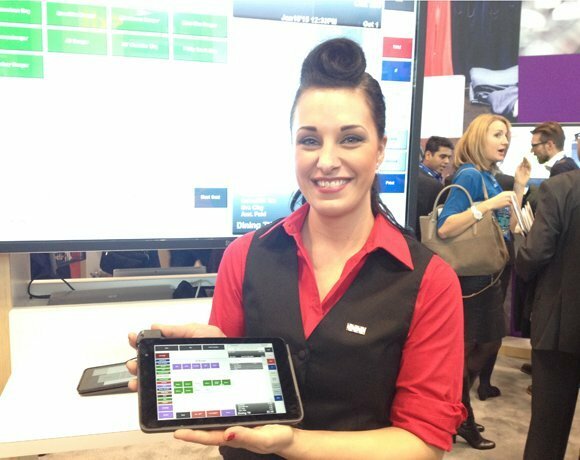 But servers can turnaround tables more quickly using tablets, increasing profitability – as well as their tips. The technology has also cut training time by 50%.